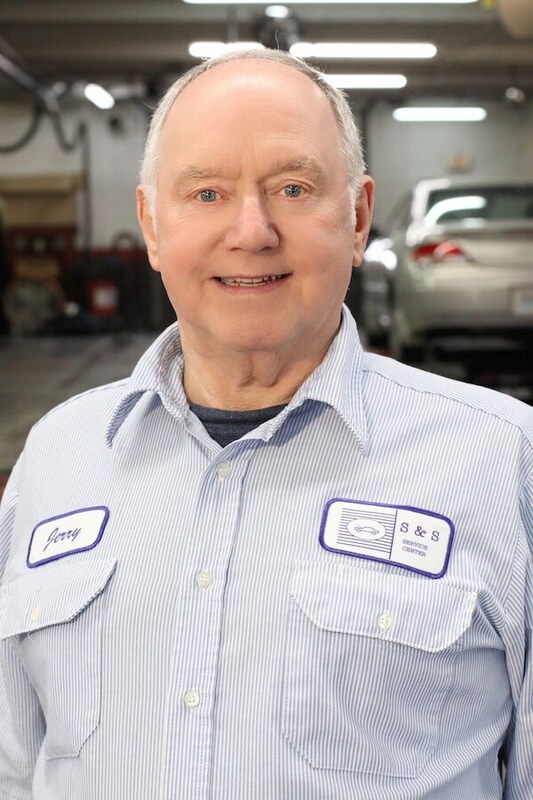 With more than 50 years experience in the automotive field, Jerry is an ASE Certified Master Auto Technician with the Advanced Engine Performance (L1) certification, a Certified Master Machinist, and is also an Accredited Automotive Manager (AAM) through the Automotive Management Institute. He has served on the Board of Directors and as the President of the Automotive Service Association of the Midwest and of the Midwest Auto Care Alliance. He feels that the future of the automotive repair industry will hinge on information availability, technical proficiency, and total customer driven service methods. As a result, he has provided four separate computer-driven information databases to his staff, and ensures that they are provided with ongoing training in both technical and business management / customer service fields. 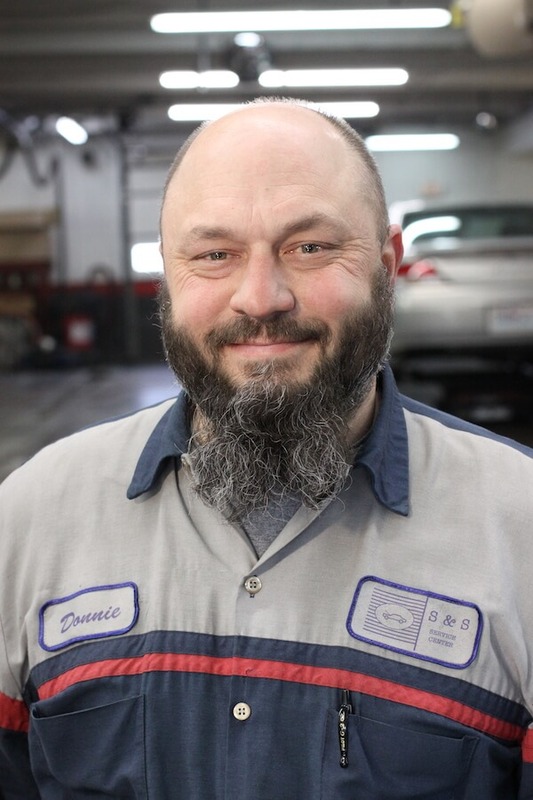 Jerry considers this training a necessity so that S&S Service Center is able to provide that “old-fashioned service” that his clients have been receiving since the 1950’s, when his father started Holcom Auto Service. For fun and relaxation, Jerry enjoys reading, woodworking, walking with his dogs. He and his wife Kris are avid professional drag racing fans. Shelly moved to the Kansas City area in 1970 from the plains of Kansas. She graduated from Ruskin High School and after that she worked in the food service industry for 15 years, becoming training manager for KFC. After KFC, Shelly took a job with one of the local quick lube franchises, staying for three years and being promoted to store manager. Shelly was a delightful addition to our staff in 1996 when we were able to steal her away from her quick lube job. We had been having new customers arrive at S&S and tell us that they had been referred to us by “that nice lady” when they had their oil changed. 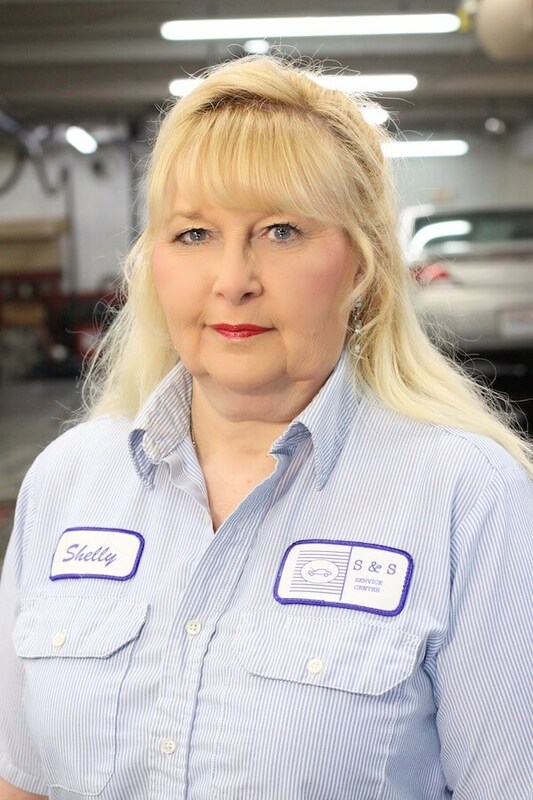 Shelly knew of our great reputation and also knew that they weren’t equipped to do repairs, so she was sending her customers somewhere where they would receive the kind of customer service she liked to give. We needed some front counter support, and who better to take the position than someone who has the same ethics and concern for our customers’ welfare as we do? After slightly more than three years at S&S Service Center, Shelly had accumulated enough credits to receive the Accredited Automotive Manager (AAM) designation, which was presented at the ASA Annual Convention in Maui in 2001. She’s been with us since 1996, and in addition to Shelly’s customer service duties, she also finds time to handle most of our office management responsibilities. She and Bill live in a southern suburb of Kansas City and share their house with a varied menagerie of pets. 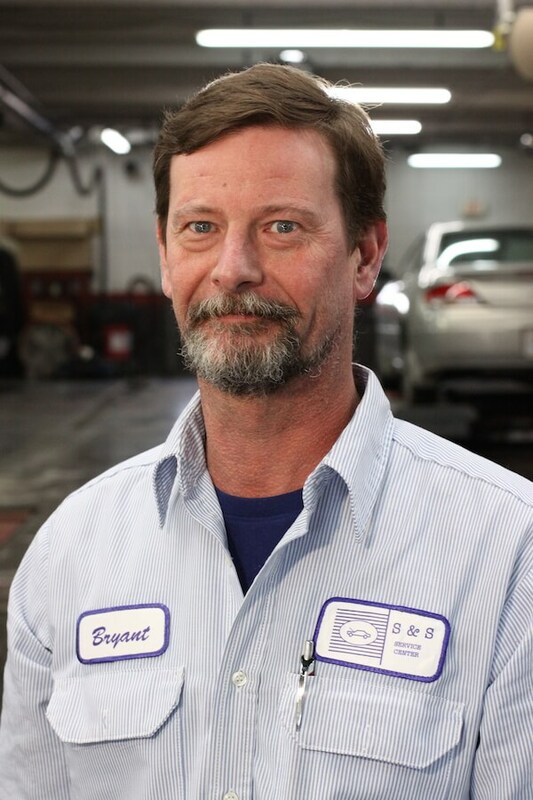 Bryant is an ASE Certified Master Auto Technician, an ASE Certified Parts Specialist, a General Motors Master Technician and Master Truck Technician. Bryant graduated from Lex-La-Ray Area Vocational Technical School in 1982, and is still a member of their vocational advisory board. After that he spent 8 years first as a technician, then as a service manager at a GMC truck dealership. After spending 12 years with Western Auto / Parts America as service manager, store manager, then as district manager, we lured him away to manage our Lee’s Summit location. With Reber’s retirement in 2003, it only made sense to bring Bryant over to S&S Service Center to continue his great work. For relaxation, Bryant enjoys golf, bowling, boating, camping, and used to drive his own stock car at area tracks. He has lived in the Kansas City / Lee’s Summit area most of his life, and now resides in Lone Jack with his wife Kim. 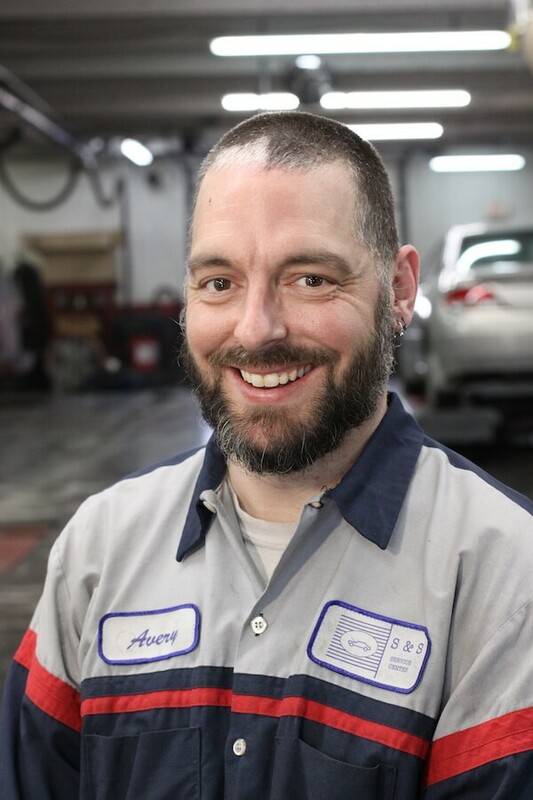 Avery Smith is an ASE Certified Technician who is a proud father of 2 boys. Avery started off his career in Healthcare and became a Biomedical Engineer servicing and maintaining anesthesia machines, ventilators and other medical equipment. After over a decade in healthcare, he decided to spend less time on the road traveling, and more time with his children. It was then that he made the switch to the automotive industry and has been passionate about fixing cars ever since. Avery obtained his first ASE certification in 2015 and is working hard to achieve his goal of becoming a Master Certified Technician. In his free time, Avery loves to BBQ, hike, go to the zoo, and spend time with his sons. Donnie joined the S&S Team in 2013. He started in the automotive parts business in 1994 with Western Auto and spent some time with O’Reilly Auto Parts before coming to the conclusion that he would rather fix automobiles than sell parts for them. Besides technical training from O’Reilly, Advance Auto, and Snap-On Tool Company, Donnie studied at Longview Community College. He is now enrolled in CARQUEST Technical Institute’s advanced level curriculum and is an ASE Certified Technician. Donnie and his wife have two sons, ages 8 and 14, and Carolyn has 3 daughters, ages 22, 24, and 26. Besides living and loving cars, he is involved with his boys in Scouting as an assistant scoutmaster, and is an Eagle Scout himself. We’re glad to have Donnie on the S&S team.